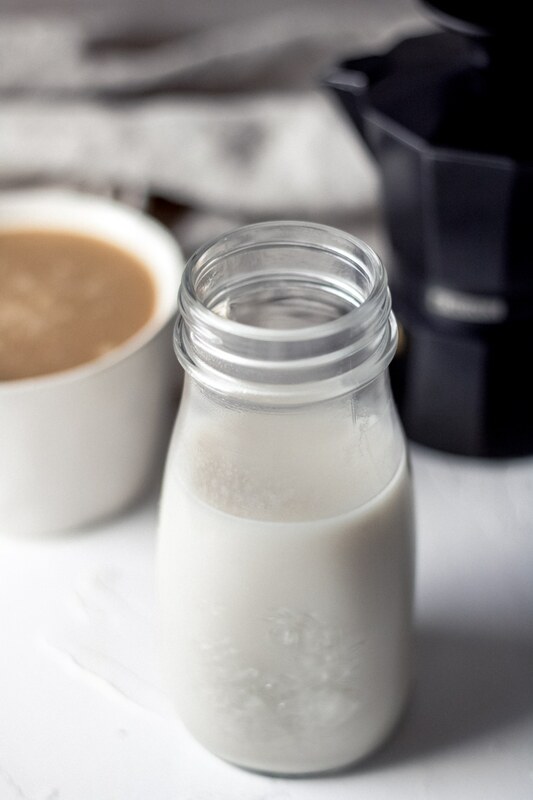 An easy homemade dairy free vanilla coffee creamer recipe with a classic vanilla bean flavor – I think you’re going to love it! Enjoy all of our dairy free coffee creamer recipes – all homemade and all made with just a few simple ingredients. Made with only three simple ingredients – including vanilla bean – this homemade coffee creamer brings a punch of vanilla bean flavor with every drop. 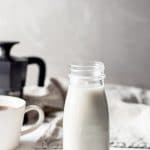 For years I’ve been on the hunt for a good dairy free coffee creamer – the only problem is so many of the store-bought options either contain nuts or are watery and leave my coffee lifeless. 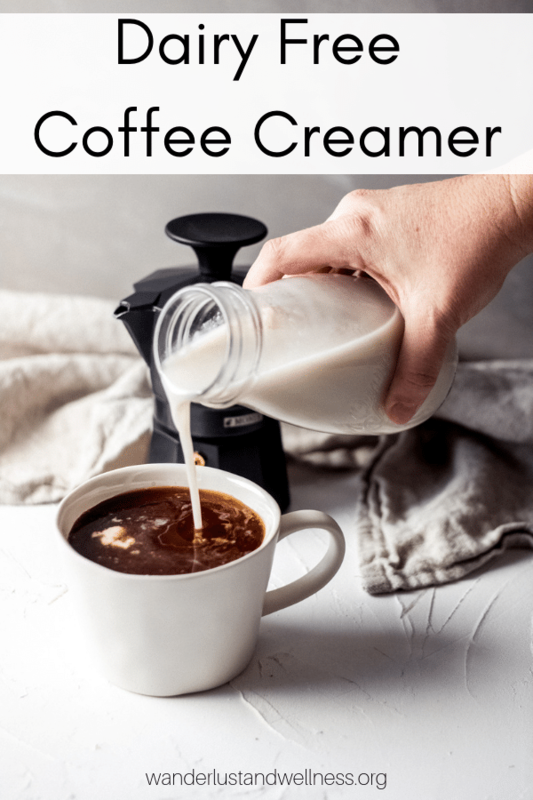 Because of this, I’ve created a collection of homemade dairy free coffee creamers and all of our homemade dairy free coffee creamer recipes are rich and creamy – which create a delicious, velvety cup of coffee every time. What is a good non-dairy substitute for coffee creamer? 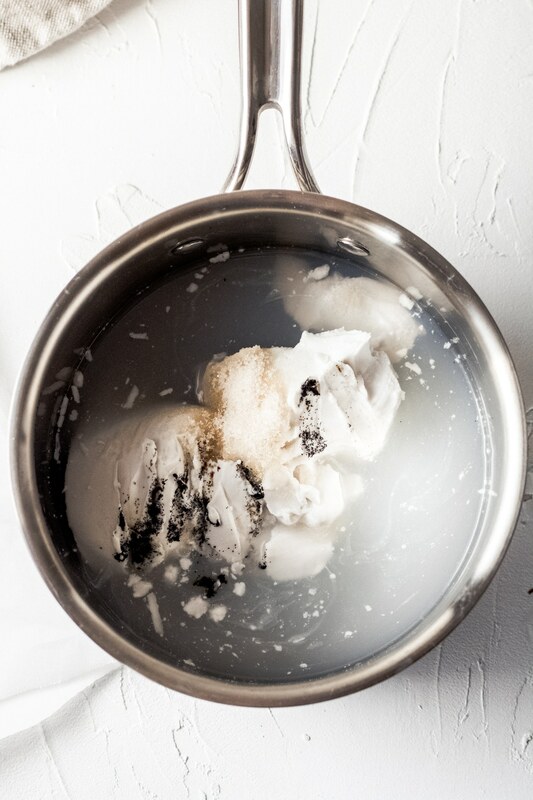 Add the full-fat coconut milk, sugar, and vanilla bean to a saucepan. 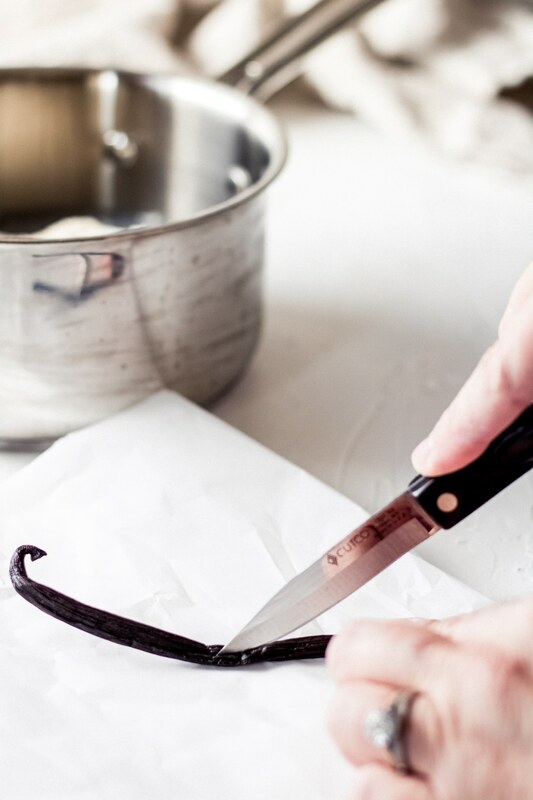 If you’ve never opened up a vanilla bean pod, simply take a knife and slice down the vanilla bean pod lengthwise – then scoop out the vanilla bean seeds. 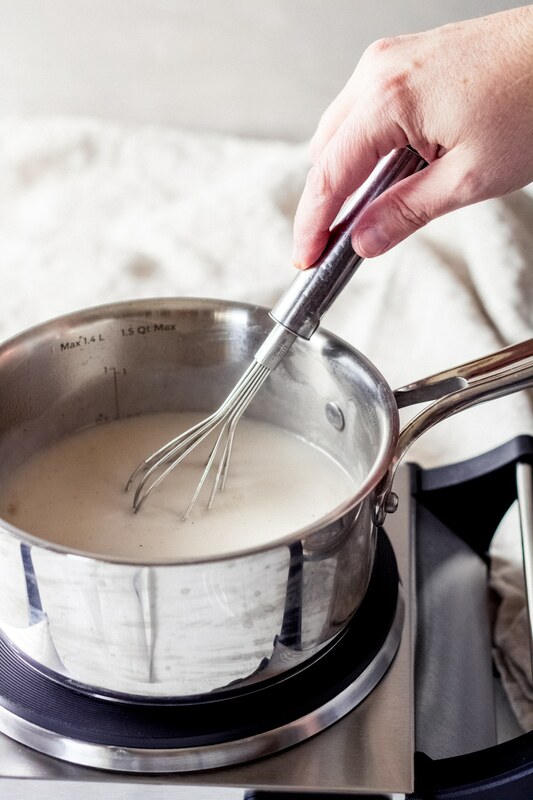 Heat the ingredients over medium heat – whisking to combine – until it comes to a low simmer. Then reduce heat to low and let cook for 20 minutes. Transfer to a milk jar or other air-tight container and let cool. Store in the refrigerator for up to three weeks. 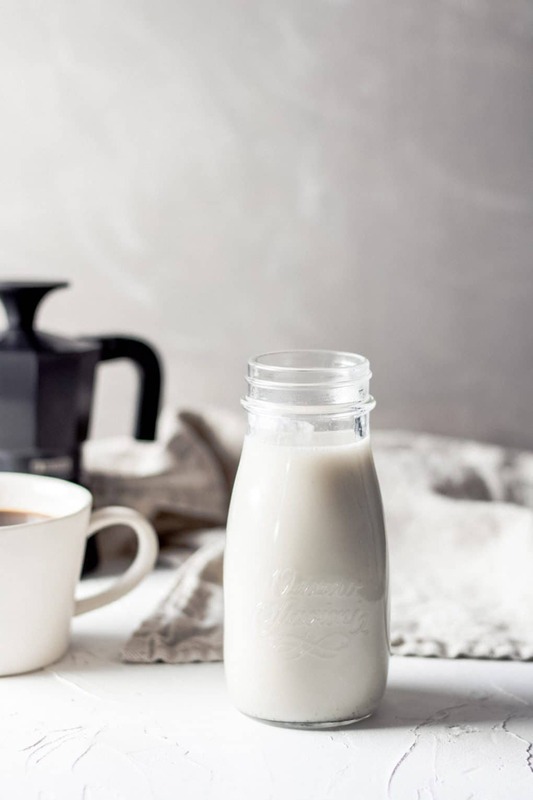 Classic vanilla bean dairy free coffee creamer recipe made with three simple ingredients. Slice the vanilla bean pod and remove the seeds. Add all three ingredients to a saucepan and bring to a low simmer over medium heat. Transfer to a milk jar or other air-tight container and let cool. Once cooled, refrigerate for up to three weeks. Be sure to purchase full-fat canned coconut milk – it will give you that rich, velvety texture. If you’re unable to find a vanilla bean pod, you can use 2-3 tsp. of pure vanilla extract or vanilla bean paste (follow the directions on the jar for conversion).